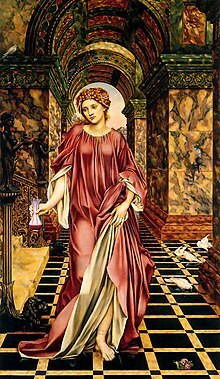 Medea, le Evelyn De Morgan. Is bean as miotaseolaíocht na Gréige í Méidé ( Gréigis : Μήδεια, Mēdeia, Seoirsis მედეა, Medea:). Iníon Rí Aeëtes an Choilcís í, neacht Circe, banua an dia ghriain Helios, agus bean chéile an laoch Iasón. Tugadh an leathanach seo cothrom le dáta an 30 Meitheamh 2015 ag 16:48.